This week's giveaway is John J. Collins' A Short Introduction to the Hebrew Bible (Fortress, 2007). Here is the blurb. 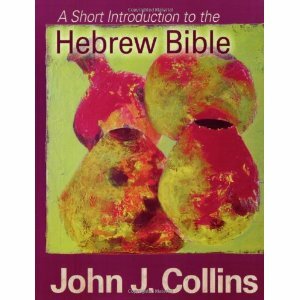 John J. Collins's Introduction to the Hebrew Bible with CD-ROM is a leading textbook in Old Testament studies. With this new, well- tailored abridgement of that larger work, Collins's erudition is now available to general readers and professors and students who prefer a shorter, more concise introduction to the Hebrew scriptures. New features, especially designed for the college student, include maps, images, and study questions. A companion web site includes special resources for both teachers and students including: PowerPoint presentations, chapter by chapter test banks, study questions, suggestions for further reading, and web site links. So put your name below and I will select and announce a winner on Sunday. Remember, once selected the winner has five days to claim the prize. Nice book indeed. Jonathan Kung.